This week we have the Panthers and the Bucs, Coming back from vacation I feel like I have a renewed dedication to my picks. The Bucs gave the Panthers the smackdown last time but this time it will be different. Look for Steve Smith to come up big this week against the Bucs as the panthers try to win the division. DeAngelo Hall is looking for a new place to call his home. But whose looking? With the reasoning for the decision to waive two-time Pro Bowl cornerback DeAngelo Hall by the Raiders being unclear, it is a little harder to round out teams that will want to pick him up. If he was cut due to character issues, then there are teams who, based on tradition, will most likely do nothing more than ponder the idea like Pittsburgh or Green Bay. Then there are teams like Dallas. They have already made some heady and questionable moves this season and I wouldn’t count out Jerry Jones and Co. to seize the opportunity. But then again, who knows for sure why he was cut? I'm sure Antoine Winfield won't mind having a fellow Pro Bowler like DeAngelo Hall by his side. Based off of that, I would not be surprised if the Vikings picked him up as well. This is a team that has already made a big defensive move picking up Jared Allen in the off-season, and to add a corner of Hall’s caliber to an already great number one corner in Antoine Winfield would probably create one of the league’s most formidable duos at the position. I also feel that New England has been missing Asante Samuel, so I wouldn’t count them out of the picture. The other teams I would put in the mix would be the Carolina Panthers as they would like to become the top D in the NFC south with the Falcons and Buccaneers defenses playing well for the most part. Finally, I would go with Arizona as a very strong possibility. The Cardinals by now have to know that they are pretty much a lock to win their division, barring an upset this Monday Night at home in the desert by the 49ers. If they wish to matchup better with the true contenders and upstarts of the league then a strong corner like DeAngelo Hall would help them tremendously. Will Drew Brees stellar production continue this weekend in Carolina? He is currently averaging 332 yards per game through the air and is on pace to throw for over 5,300 yards. Even though that shouldn’t happen, it’s still pretty darn good for six weeks of play and he’ll definitely reach over 4,000. 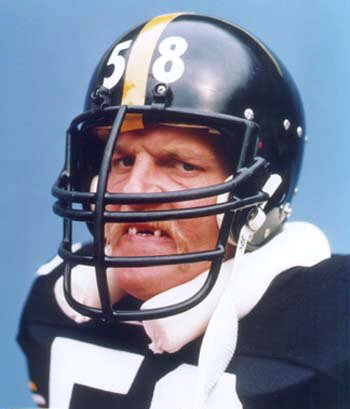 The Panthers have lost buzz due to their egg in Tampa this past weekend. They’ve also maintained a trend of high pre-season promise and regular season inconsistency they started when John Fox arrived in Carolina. 11-5, 7-9, 11-5, 8-8, 7-9 are the season records since 2003 when Fox became head coach. So far this year they are 4-2 and the trend would suggest they make the playoffs. But seriously, the Panthers are at home and could convincingly beat the Saints. The Panthers may even be able to settle Brees down with their 2nd ranked passing defense and against the 25th ranked rushing offense of the Saints, that is all they may need to do to get the upset. John Fox may resemble this photo if his team allows Drew Brees to pick them apart. Either way, this should be an exciting matchup as both teams are fighting to keep pace with 4-2 Tampa Bay in the NFC South who faces a real barn burner at home against the Seahawks this weekend. The first game that holds some bearing is the 3-2 Bears at the 3-2 Falcons. Both teams have a chance to be 4-2 and both surprises in the league. Kyle Orton looks a little better and his defense is strong as ever, while the Falcons play inspired football with solid play from a rookie QB, Matt Ryan, and a first time fulltime starter at RB, Michael Turner. The defense has John Abraham, but not much else. Huge game for the NFC playoff race! I will have to go with the Bears experience on this one. Baltimore plays host to Indianapolis. Both are 2-2 and need to get above .500. The Ravens’ defense may be tight, but the Colts’ defense has not been too bad without Bob Sanders, and Peyton Manning is something else compared to Joe Flacco. Colts win. Carolina will be in Tampa Bay where both teams at 4-1 battle to lead the NFC South. The Bucs offense has been trifle even though they still have a solid defense. The Panthers combine solid defense with above average offense. I’ll take the Panthers. Finally, Dallas, 4-1, will meet Arizona, 3-2, on the road. Although the Cowboys have a stronger defense, I am going with the Cardinals to pull off the upset. The Cowboys may boast a powerful offense, but the Cardinal offense can be just as potent. I just have a feeling that Kurt Warner and his team are confident and excited to play the Cowboys who will be caught sleeping. These are the best games between teams based on records of wins and losses. 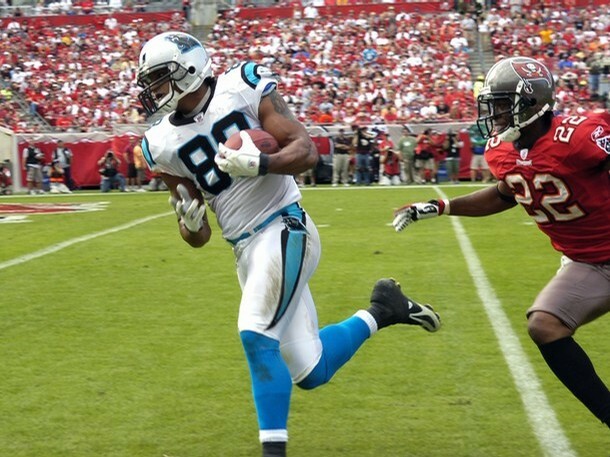 Chargers get ousted by Panther’s Jake Delhomme and big time TE, Dante Rosario. In the biggest upset of week 1 on Sunday, Jake Delhomme lead his team back to score a final game winning TD as the clock expired. The final 25-24 was a huge upset for the San Deigo fans. 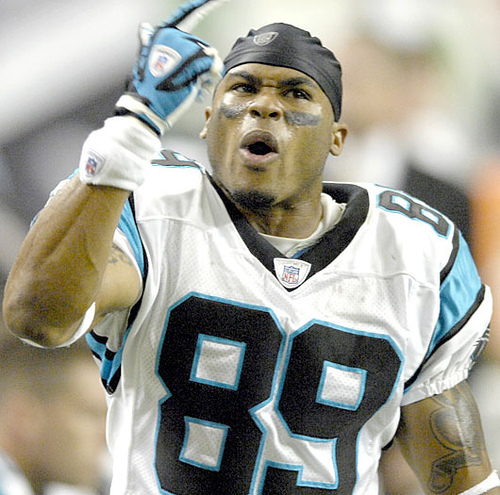 The Panthers ousted the chargers without the aid of their superstar WR, Steve Smith, who was suspended 3 weeks for punching teamate Ken Lucas in minicamp. 3. Jake Delhomme, was very posed on the final game winning drive. Over the course of the game he amassed 247 yards through the air with 1 TD and no Ints. 4. PLAYER OF THE GAME: Dante Rosario #88 TE Caught 7 balls for 96 yards and the game winning touchdown. Not bad for a little known TE.